3 Oboes (optional Cor Anglais part replacing oboe 3). 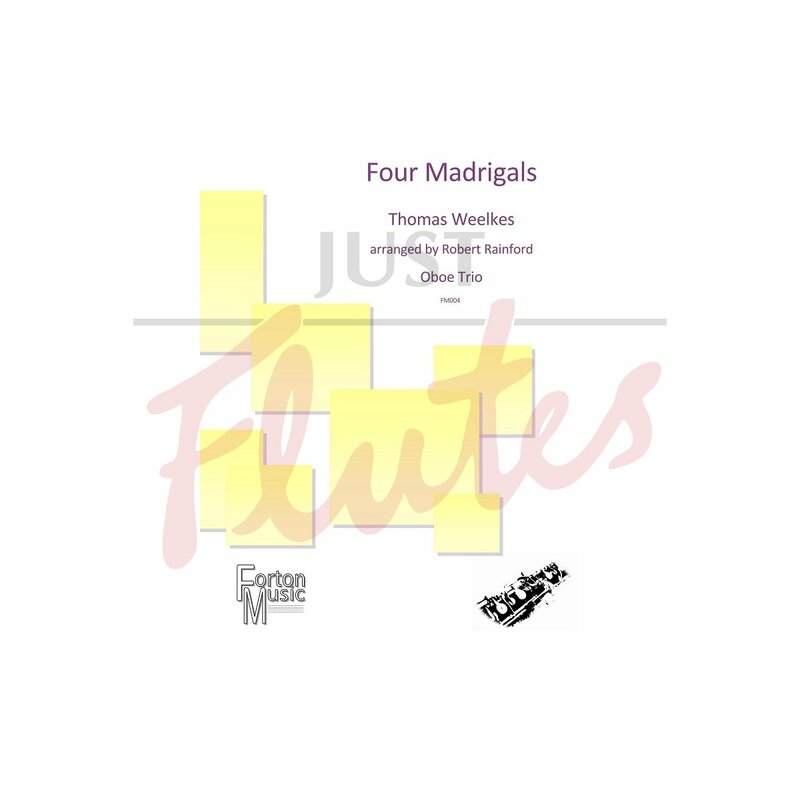 This set of three madrigals by the renaissance composer Thomas Weelkes features frequent time changes and some lovely independant part writing. None of the pieces are overly long - about 30 bars on average. Part 3 descends to low C, but the other parts are relatively straightforward note-wise. Could be tackled by confident players of grade 2-3 standard.